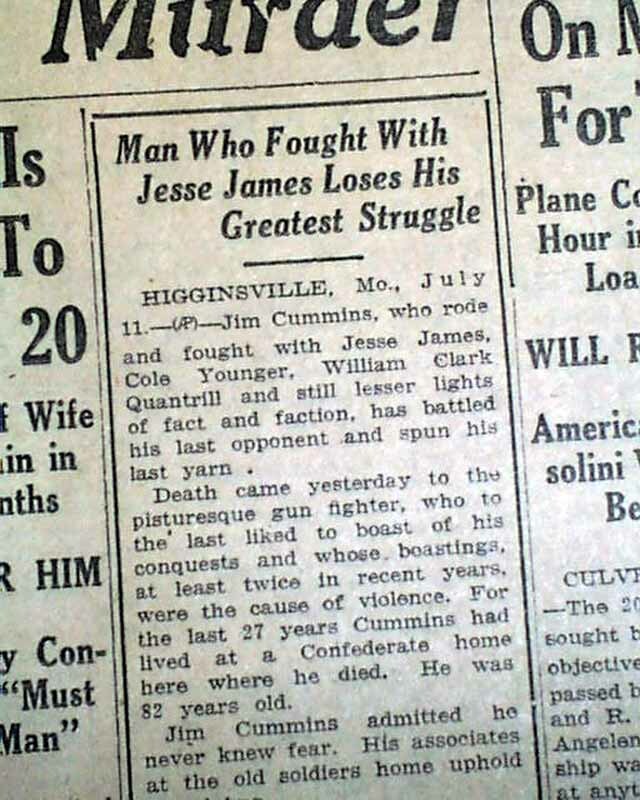 "Man Who Fought With Jesse James Loses His Greatest Struggle"
1st report coverage on the death of outlaw Jim Cummins, the last survivor of the infamous Jesse James-Younger gang. Other news, sports and advertisements of the day. Light browning with a little spine wear, otherwise good. wikipedia notes: James Robert Cummins or Cummings, aka: "Windy Jim" (1847-1929) - Cummins, born on January 31, 1847, lived near Kearney, Missouri and rode with Quantrill's Raiders during the Civil War, most often assigned to follow “Bloody” Bill Anderson. A known horse thief, he joined up with the James-Younger Gang after the war and was involved in the train robberies at Winston and Blue Cut, Missouri. 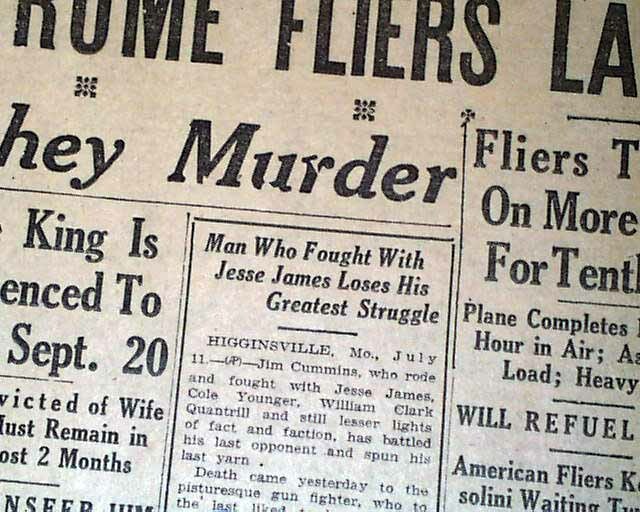 He was suspected of being involved in the plot to kill Jesse James because his sister, Artella Cummins, married Robert Ford, Jesse’s killer. 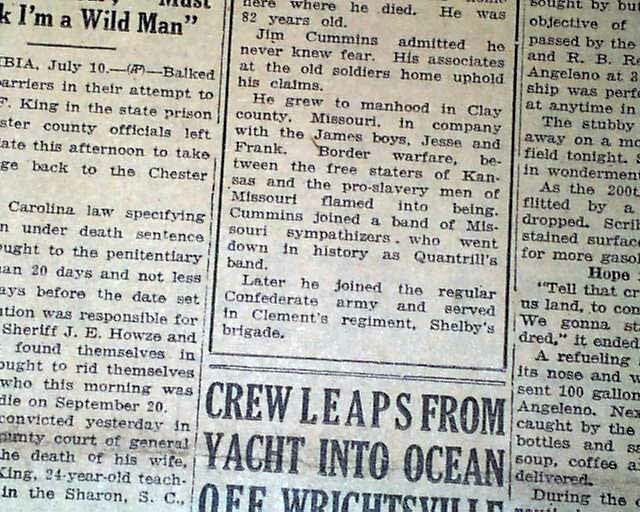 After the break up of the James Gang, he became a farmer in Arkansas and actually tried to turn himself in several times, but no one believed he was really Jim Cummins. At the age of 63 he married Florence Sherwood and lived to an old age. 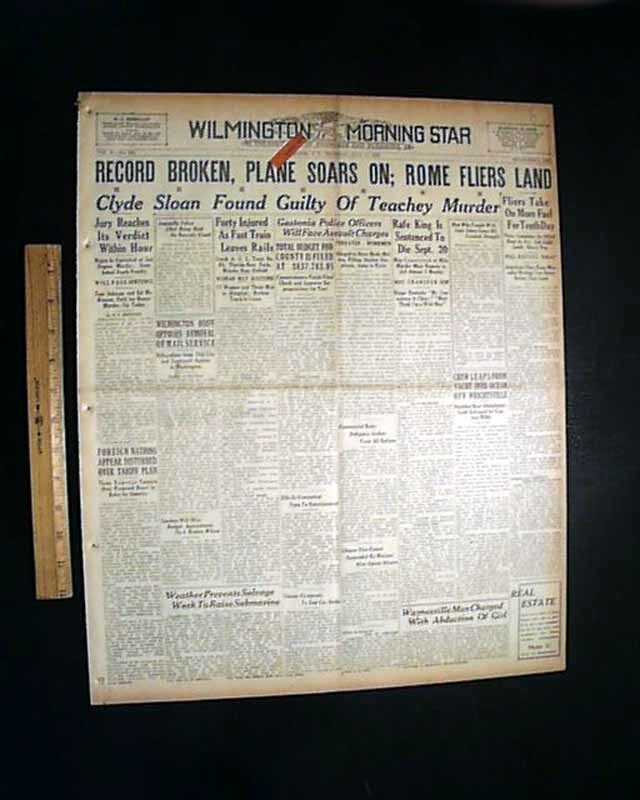 He died in the Old Soldiers Home at Higginsville Missouri on July 9, 1929.